The following article is based on an interview Chris conducted with Chris Roberts, conducted with Chris Roberts from Winchester City Council (WCC). leading on the Digital Winchester projects. The city of Winchester is historically important, has a thriving local economy and active arts scene. As well as being the administrative capital for the county of Hampshire, Winchester is also a gateway to the South Downs National Park and a largely rural district. The city is close to London (63 miles), with Portsmouth and Southampton on the back doorstep too. All elements that shape the culture and outlook of this great city. The city council has a vision for bringing the district into the 21st century via a number of ‘smart city’ projects. The first is aimed at improving the city experience by harnessing data and new digital infrastructure. The overall program is called Digital Winchester – creating a smart district and encompassing other projects including smart mobility; smart health and smart buildings. The Digital Winchester project is following a standards-based approach to implementing the program. 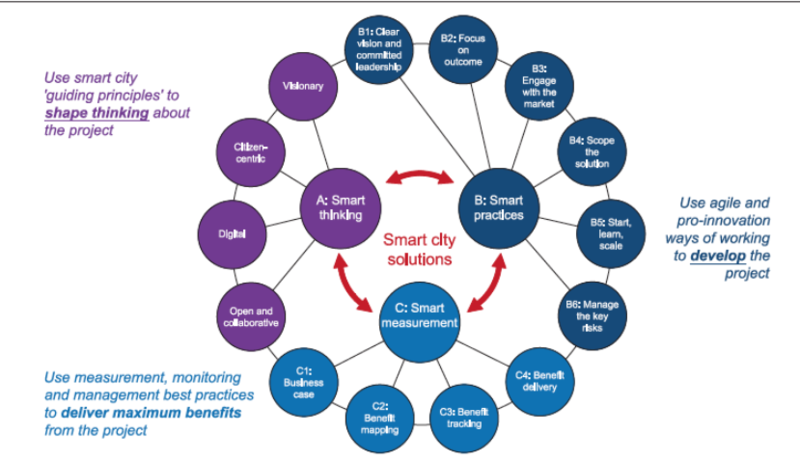 So now the time is right to gauge the impact of the BSI Smart City standards, in particular, PAS 184 ‘Delivering Successful Smart City Projects”. How has the experience been perceived by the team responsible for this exciting new smart city project? Firstly, let us investigate the problem that a ‘Smart Winchester’ is seeking to address. 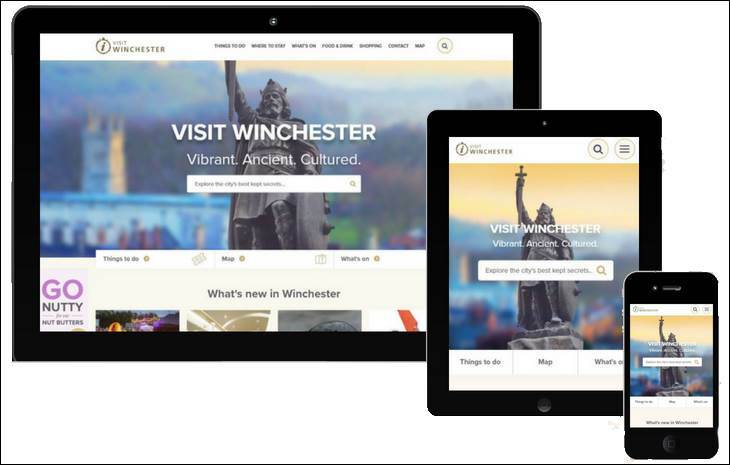 Winchester City Council (WCC) recognises that by taking advantage of advances in digital infrastructure, applications and analytics, they will be able to offer new, better and more cost-effective services to residents, business and visitors. Therefore, by exploiting this new technology, it is possible to increase productivity and realise new economic benefits. For instance, an increased spend per head in the city and an improved probability of a repeat visit. But let’s also understand that a new platform for local business is being created. A platform which offers new channels to promote and deliver an improved visitor experience. To keep ahead of the pack, these channels will need to be innovative, entertaining and give the public a reason to participate. An example could be an augmented reality (AR) centric advertising experience. The use of a structured assessment method has had benefits for both parties, ie: the city team and the smart cities practitioner/consultant. One positive outcome has been the 100% buy-in to adopting the standards-based approach by the city team. No pushback from city stakeholders, although the speed of adoption could be faster. The key is that the direction of travel is set. Standards rule. From WCC’s perspective, the PAS184 approach has broadened the thinking and highlighted the other interactions that are required to deliver citywide success. As Chris Roberts (WCC Digital Winchester lead) said, “It helps us to think more externally, and highlights the need to bring in the other city stakeholders”. Secured buy-in from the city leadership team to the smart city vision and adoption plan. 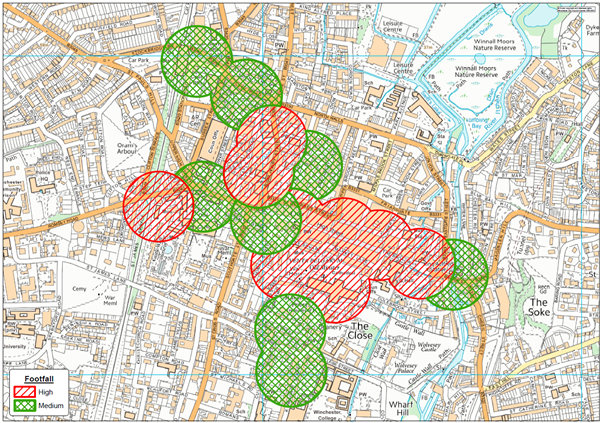 Recognised the plan is used by other collaborators in the city region too (e.g. Winchester BID). Broadened the thinking and consideration for other projects in the future. Highlighted gaps that need to be filled in terms of participants, governance and tasks to be done to deliver a smart city. From a practitioner perspective, the use of the method has provided focus, structure and evidence to back up an argument. Plus, it has saved the client money and time. This is because the evidence the approach generated helped re-scope the program to be more realistic in terms of ambition. Which led to more reasonable and affordable objectives. The Winchester community have identified a set of measurable criteria to judge whether Digital Winchester is a success. Increased visitor spend per head. This criterion is how any activity, task or decision is agreed to and framed. Agreeing what the outcome is at the start has been one of the benefits of the approach. The PAS 184 approach starts with scoping sessions which created a set of cross-stakeholder storyboards. This told the story that was to be realised, which led to a joined up, bought into set of requirements. These requirements were then prioritised against their ability to meet the cities identified success criteria. The approach is constantly asking does a project meet the city’s goals? Does this project deliver the success expected? This helps give focus and prioritise what gets done when. Using the PAS184 as a guide naturally leads to a focus on the outcome. This then provides a backstop for assessing whether a particular task is going to meet expectations. This is important as the overall project captures the people and process impacts as well as what the data processing tech should be. Goals and expected benefits were set by the needs of the city and then mapped in terms of realisation back to the cities digital strategy. This recognises that any smart city project is one of many competing for the city’s attention and resources. The projects have to find their place in the pecking order. However, other extra benefits have been identified that can be capitalised on by external stakeholders. For example, the Winchester BID community is being given an extra sales channel to promote their member’s offers and services. Yet, this community needs training and access to this new opportunity too. Simply putting the tech into the audience’s hands is not good enough. That will not deliver the success expected. This is a collaborative and team effort. As such it needs a collaborative and multi-pronged approach. Following smart city standards are driving some side benefits too. For example, it helped triage the various different technical options by providing a sense of cost versus benefit. This has led to a very tight prescriptive requirement as the city knows what it now wants. This has had two benefits. Firstly the market (i.e. vendors) can be precise in describing how they will meet the requirement. Which leads to a good quality set of responses to market engagement. This drives the second benefit, which is an increase in the cities confidence that what is being asked for from the market can and will be delivered in the budget and timeframe available. In terms of making Winchester ‘better’ the Digital Winchester program is anticipating a number of benefits as a result of this new digital investment. One of those will be an improved insight for the local business community on who is visiting Winchester. As well as offering improved information delivery and a more interactive experience for visitors. Which will increase the likelihood of a repeat visit and encourage visitors to spend more whilst in Winchester. The residents, workers and visitors are the most important focus of any smart city project. PAS 184 encourages some checks and balances to be in place from the start which put the ‘citizen’ front and centre. An example of this is the importance placed on ‘Privacy by Design’ principles which were successfully adopted as a key design principle during the requirements capture phase and followed through in the procurement process for the urban wifi and visitor experience app. The two Digital Winchester projects launched in this first phase are great examples of advancing urban innovation – In that having a new free to access digital connection provided by the new wifi service is a societal good. It will create new connections and new data points. These can be used for other purposes in the future (generating new insight). Plus, the new visitor app will be another reason to enjoy the cultural and historical aspects of Winchester, bringing stories to life and increasing the awareness of Winchester as an important shaper of the UK’s heritage. In terms of increasing GVA, the new urban wifi environment will require local management. The new visitor experience app will also drive local business growth. Both elements will create new opportunities for UK business in the immediate term: ranging from new content for augmented reality storytelling; through to analysis of footfall data and new marketing techniques to connected citizens. These new services can also be packaged for export to other cities in the UK and beyond. Other opportunities that are in the pipeline include new digital information channels such as digital signage, (including having interactive screens). Plus the expansion of city-wide digital services to citizens (not just visitors), so a new citizen engagement app is in plan and will build on the foundations of the visitor app. Plus the embracing of digital services for the city’s own assets, (for example, the new leisure centre being commissioned as a ‘smart building’). Yet it is the embedding of the governance and adoption of an outcomes centric view that is most critical. This will help realise Winchester as a ‘smart city’ faster. To conclude, following the PAS 184 methodology has meant Winchester is now better equipped to focus efforts and resource into the ‘correct channels’. Having a client recommendation is always a great validation. The comment from Chris Roberts was emphatic. A great endorsement of why PAS184 delivers successful smart city projects. 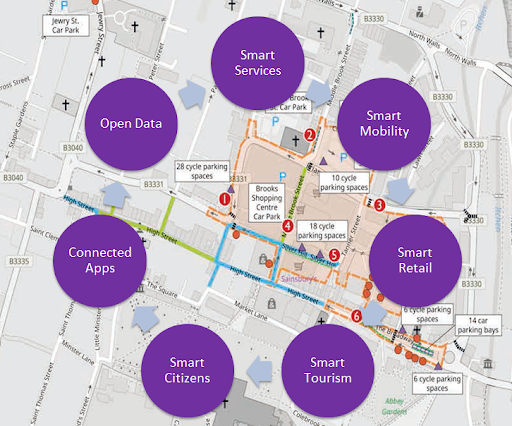 Smart Cities UK Award 2019 – KnowNow are on the shortlist for the Digital Winchester project. The service that KnowNow provide is focused on ensuring that good quality digital projects are commissioned. That is smart city projects that the market can deliver. With requirements that are joined up and outcome-centric. Along with project governance that creates a collaborative and interoperable plan. KnowNow was commissioned by Winchester City Council to be their trusted smart city advisor.